When you stay at a Lake Pointe Inn, you’ll be close to all the action Deep Creek Lake has to offer. Our McHenry bed and breakfast offers guests comfortable accommodations and fine amenities that make a trip to Deep Creek Lake truly memorable. And if you’re eager to get on the water, you won’t have to go far. Lake Pointe Inn offers guests kayaks and canoes as well as an afternoon pontoon boat ride every day. You may also be interested in water sports or go out on a ski boat. So, during your stay you may want to rent a boat to explore the lake on your own. We’ve put together a guide to Deep Creek Lake boat rentals to make planning your getaway a bit easier. 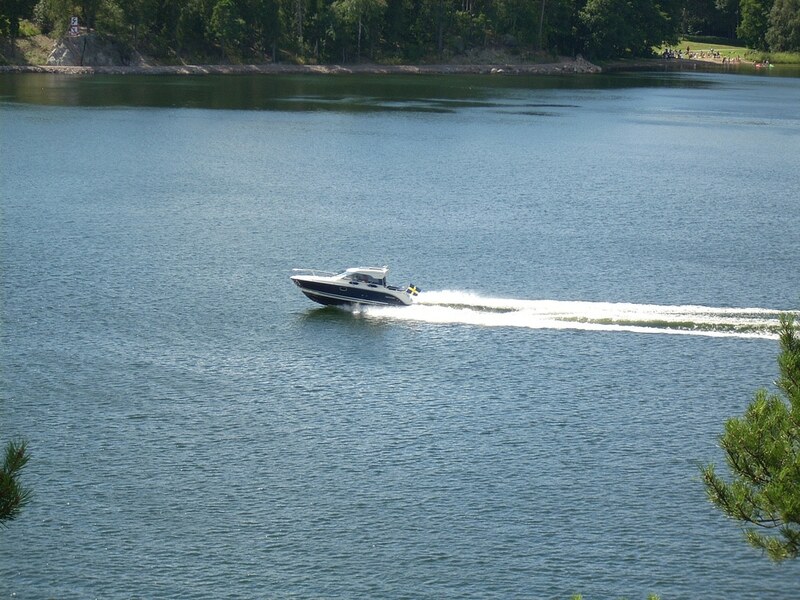 Deep Creek Marina offers a wide variety of Deep Creek Lake boat rentals. They rent late model boats so you know they’ll be reliable. You can choose from Sea Ray and Regal sport boats with or without water sports tower. The tower makes it easier for beginners to learn how to wakeboard or water ski. Other boat options include pontoons, ski boats that seat up to 15, jet-skis, wave runners, canoes, kayaks, tubes and other water toys. Deep Creek Lake Ent. Boat Rentals also offers -pontoon boats, ski boats, fishing boats, water skis, kneeboards and tubes. They are open seven days a week from May 1st through September 30th. Deep Creek Lake Ent. Boat Rentals also sells boats if you plan to hit the water frequently. Bill’s Marine Service rents boats for as little as two hours and as long as a full week. Bill’s rents ski boats of various horsepowers, pontoon boats, fishing boats and water sports equipment. The Deep Creek Lake Beach Hut run by Wisp Resort also rents tubes and paddle boards to enhance your boating experience. 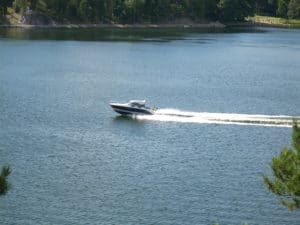 Whether you decide to rent a boat for skiing or cruising, you’ll be glad to be staying at a Deep Creek Lake bed and breakfast after you dock. Lake Pointe Inn has several beautiful rooms and suites to choose from, each with its own private bath and gas fireplace. Every room at the inn is uniquely decorated in the Arts and Crafts style featuring Mission Style furniture and fabrics by William Morris & Co. Lake Pointe Inn is the ideal place to relax and recount your day on the water. Amenities like steam showers and spa tubs are also available in select rooms. Lake Pointe Inn also has a variety of massage services to soothe muscles and relax you further after your day of play. And when you aren’t enjoying your Deep Creek Lake boat rentals, you can partake in bocci, croquet and borrow the bicycles available. Plus, your stay comes with a full hot breakfast that alternates between sweet and savory daily to fuel your day on the water. Staying at Lake Pointe Inn is a truly special way to enjoy a trip to Deep Creek Lake.